Comeau, Phil. "Acadian Cinema". The Canadian Encyclopedia, 12 September 2017, Historica Canada. 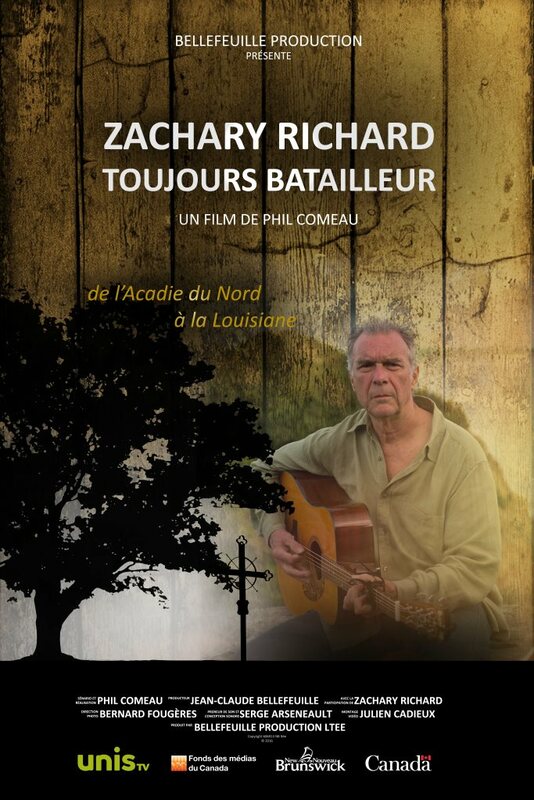 https://www.thecanadianencyclopedia.ca/en/article/acadian-cinema. Accessed 20 April 2019. 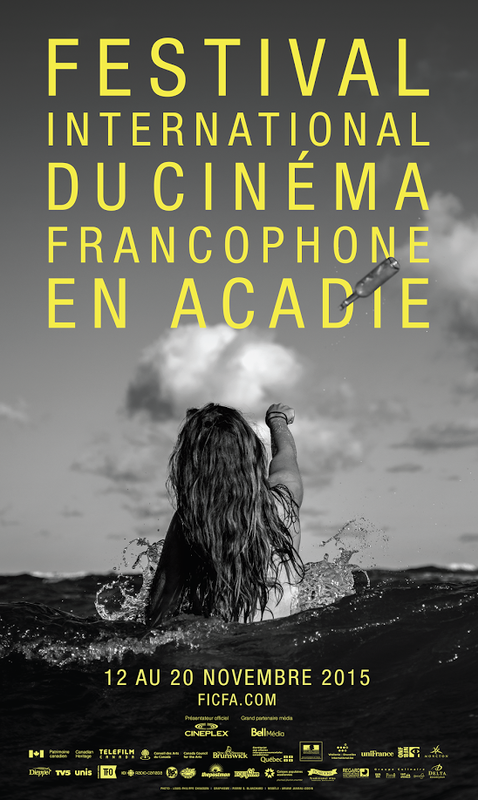 Acadian cinema (films by francophone filmmakers from Canada’s Maritime provinces) consists of about 300 documentaries and 50 fiction and animated films. The first films by Acadian filmmakers were shot in 1956. The National Film Board’s Studio Acadie opened in Moncton, New Brunswick, in 1974. As of 2017, about 10 independent, French-language film production companies were operating in Moncton and Caraquet, New Brunswick and Halifax, Nova Scotia. Evangeline, Canada's first feature film, was shot in locations that were central to the Acadian expulsion, such as Grand Pré and the Annapolis Valley. It was directed by and starred American stage actors but featured locals in supporting roles. 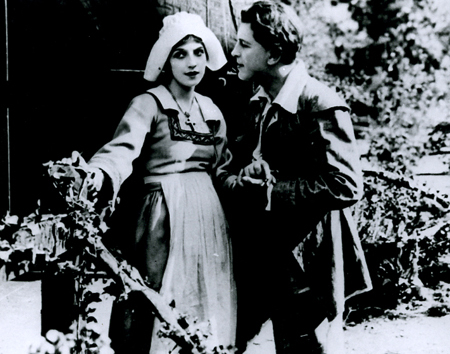 Scene from the movie Evangeline (Canada Bioscope Co., 1913), Canada's first feature film directed by Edward P. Sullivan and William Cavanaugh. The first feature-length Canadian film (unfortunately now lost) was made in 1913, and its subject was the Acadians. 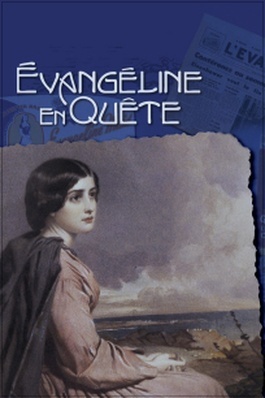 Entitled Evangelineand inspired by the poem of the same name by Henry Wadsworth Longfellow, it told the story of a young couple who were separated by the deportation of the Acadians. 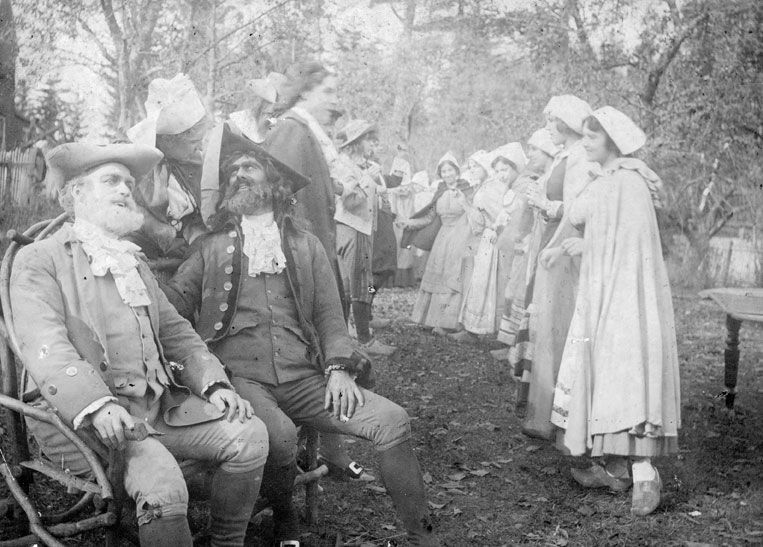 The film, directed by Edward P. Sullivan and William H. Cavanaugh for the Canadian Bioscope Company of Halifax, was shot in English in the Annapolis Valley, in Nova Scotia, the ancestral home of many Acadians. In 1949, the first French-language documentary about the Acadians, entitled Les Acadiens, wasproduced by Crawley Films, of Toronto. Next came three films directed by Québec filmmaker Roger Blais over the period 1952 to 1955: Voix d’Acadie, Chanteurs acadiens and Les Aboiteaux. 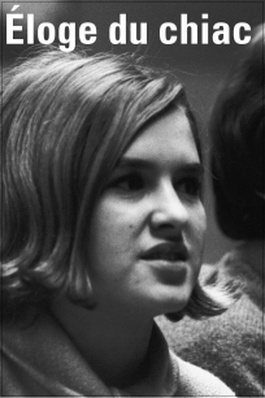 Later, working on location in Moncton in 1969, Québec filmmakers Pierre Perrault and Michel Brault shot Éloge du chiac, in which a teacher explains chiac, a uniquely Acadian blend of French and English, to her students. In 1971, Brault’s documentary feature L’Acadie, l’Acadie!?! (English version: Acadia Acadia ?!?) reported on the student protest movements at the Université de Moncton. Brault returned to Acadia in 1976 with André Gladu to shoot an excellent documentary series about francophone music, Le son des Français d’Amérique. Gladu returned in 2004 to direct the documentary Tintamarre – La piste Acadie en Amérique. Pioneering Acadian filmmaker Léonard Forest accepted a permanent position as a film director with the National Film Board of Canada (NFB) in Montréal in 1954. 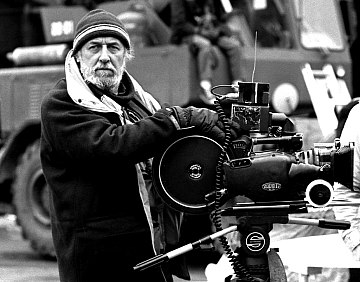 He directed and produced nearly 150 films in the course of his career, but only five of them were about Acadians: Pêcheurs de Pomcoup (Fishermen of Pubnico, 1956), a documentary about swordfishing in the village of West Pubnico, Nova Scotia; Les Acadiens de la dispersion (1968), a documentary about Acadian identity, with a musical score by Édith Butler; Acadie libre (1969), about Acadians’ social and economic conditions; La noce est pas finie (1971), filmed in collaboration with citizens of New Brunswick and set to music by Georges Langford, a resident of Québec’s Magdalen Islands, with his roots in Acadia; and lastly, Un soleil pas comme ailleurs (1972), about social and economic conditions on the Acadian Peninsula in New Brunswick. Léonard Forest played a huge role in the development of Acadian cinema. At his urging, the NFB opened its Studio Acadie to produce French-language films in Moncton, in 1974. This studio became the hub for Acadian film production and provided training for many Acadian filmmakers. Since its opening, this studio (now known as the Canadian Francophonie Studio – Acadie) has generated over 130 productions and co-productions, making it the largest producer of Acadian documentary films. 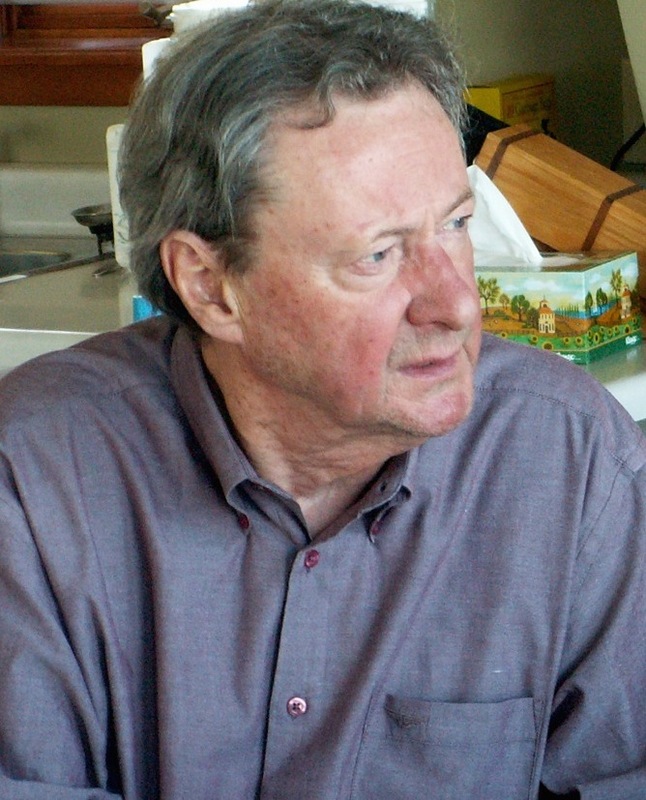 The first producer in charge of Studio Acadie was the Acadian Paul-Eugène LeBlanc, who produced 12 documentary and fiction films there between 1974 and 1980. Most of these films dealt with themes of language, culture, history, poetry, traditional music, religion, fishing and youth. They included the fiction films Une simple journée by Charles Thériault, Abandounée by Anna Girouard, La cabane and Les gossipeuses by Phil Comeau, La confession and Souvenir d’un écolier by Claude Renaud, and Au boutte du quai by Robert Haché. The first four documentaries, directed by a collective, were La nuit du 8, Y’a du bois dans ma cour, Le Folic cé pour ayder and Kouchibouguac. Canadian Film Director Phil Comeau. In Studio Acadie’s early years, some young Acadian directors chose to express themselves through films that were fictional but firmly grounded in very real concerns. They denounced the alienating, suffocating influence of religion in Acadia, spotlighted the problem of communication between the generations, and expressed the difficulties of forging a new Acadian identity marked by a difficult past. Throughout the 1970s, the films from Studio Acadie provided a voice for a generation of contentious young francophone filmmakers from New Brunswick and Nova Scotia who wanted to shatter old taboos. In 1980, Acadian Rhéal Drisdelle became the second producer in charge of Studio Acadie. He produced three documentaries during his tenure there: Armand Plourde, une idée qui fait son chemin by Denis Godin, J’avions 375 ans by Phil Comeau, and Arbres de Noël à vendre by Denis Morisset. But then the NFB’s French Program was hit with major budget cuts by the federal government and decided to close Studio Acadie temporarily. The Acadian filmmakers and technicians who worked there launched a vigorous campaign to keep this production centre open. As this crisis played out, Acadian filmmakers started the first independent Acadian film-production companies, so that they could keep on making films. Les Productions Godin produced Denis Godin’s documentary C’est nice de parler les deux manières. 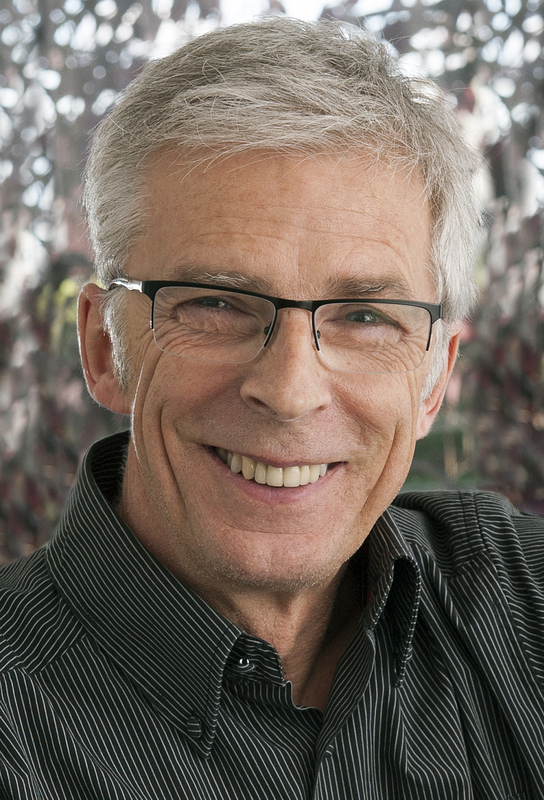 Les Productions L. LeBlanc produced the documentary La musique nous explique, byPhil Comeau, while Les Productions Ciné-Baie produced four documentaries by this same director: La pêche aux homards, Margo – un village de bûcherons, La Pointe-à-Pinkney and Acadiennes de Clare. But all three of these companies soon faced the problem of lack of theatrical and broadcast outlets for their films ( this sector of the industry was still in its early stages of development), and all of them eventually had to close their doors. La Cinémarévie Coop, a film-production cooperative, was found in Edmundston, New Brunswick in 1980 and continued to produce films until 2005. They included the documentaries Monsieur Lude, Avec le cœur and Le champion, by Rodolphe Caron; La bagosse : un esprit du Madawaska, by Benoit Bérubé; Je danse ma vie, by France Gallant; and Mon grand-père me racontait, by Denise d’Astous; the fiction films Par un bon matin, by Rodolphe Caron; Quand on est vache, by Hélène Daigle; Le doute de Thomas and Au bout du chemin, by Samuel Caron; and the animated films L’avertissement and Les joies de Noël, by Anne-Marie Sirois. 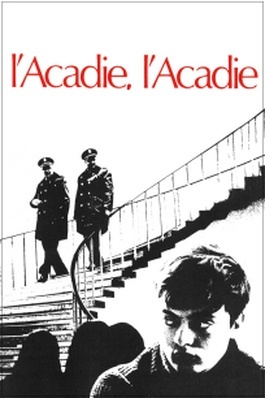 In January 1982, in response to constant pressure from Acadian filmmakers and lobbying by the Société nationale de l’Acadie, the NFB’s Studio Acadie began producing films again after a two-year pause. But in the interval, most of the experienced Acadian film directors had given up on filmmaking, and the studio had to recruit new ones. At the same time, filmmakers Denis Godin, Phil Comeau and Robert Awad had left Acadia to make films for private industry in Montréal. These directors were soon followed by Jacques Savoie and Rodrigue Jean. Working out of Montréal with Les Productions Via le Monde, Phil Comeau directed the first Acadian children’s film, Le tapis de Grand-Pré (1986). The new producer in charge of Studio Acadie, Éric Michel, gave new talents the chance to prove themselves. 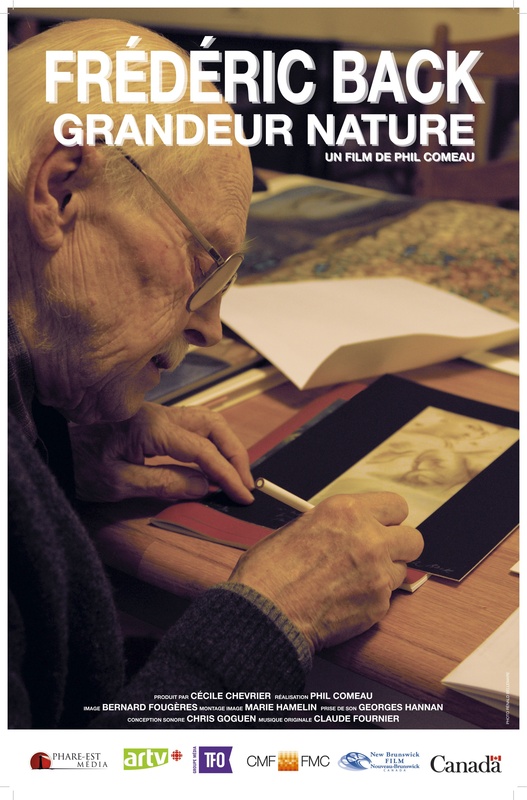 He produced the fiction films Sorry Pete and De l’autre côté de la glace, by Serge Morin, and Massabielle, by Jacques Savoie, as well as two docufiction films: Toutes les photos finissent par se ressembler and Le grand Jack, both by Herménégilde Chiasson. 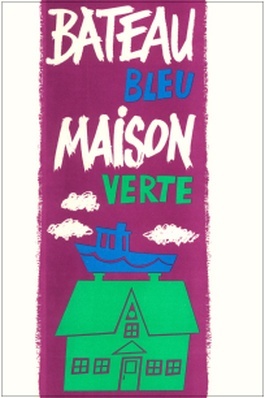 Éric Michel also produced the documentaries Bateau bleu, maison verte, byBettie Arseneault; Une sagesse ordinaire, Une faim qui vient de loin, Les femmes aux filets and Crab-0-Tango, by Claudette Lajoie-Chiasson; and Maille Maille by Anne-Marie Sirois. The 1980s also saw the emergence of independent production houses in New Brunswick. 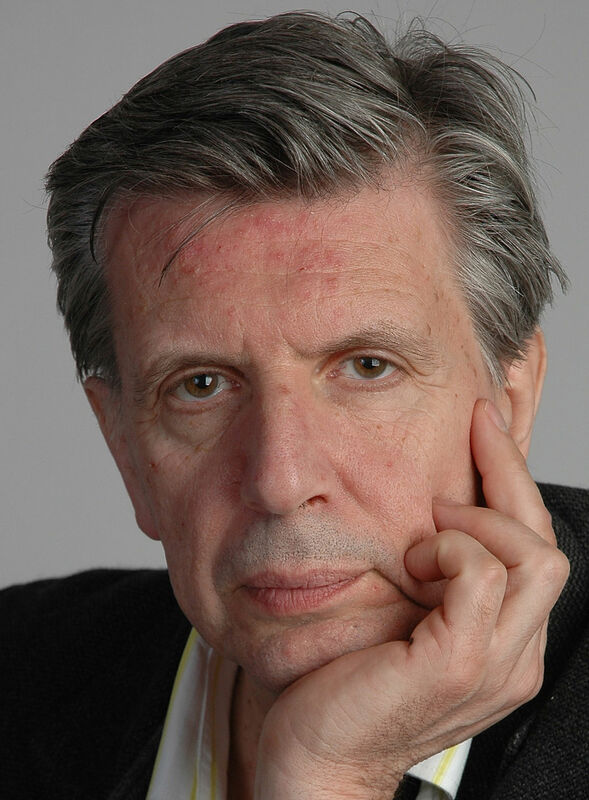 In 1985, Lawrence Carota founded Ciné-Est en Action, for which he produced the fiction films Cap Lumière and Madame La Tour, by Herménégilde Chiasson. In 1986, producer Jean-Claude Bellefeuille founded Tel-Vision Productions (now Bellefeuille Production Ltd.). This company started out producing segments for public-affairs television shows, but then moved on to making documentary films, including Migrations, Tour de magie, and Harfang des neiges, by Roger Leblanc; Éloge du chiac – Part 2, by Marie Cadieux; Le matois ou L’effet Laurie Henri, by Paul Arseneau; Kouchibouguac, l’histoire de Jackie Vautour et des expropriés, by Jean Bourbonnais; Le chant du phare, by Julien Cadieux; and Zachary Richard, toujours batailleur, by Phil Comeau. The company also produced the series Les couleurs de mon accent by Phil Comeau and 1755 by Ivan Vanhecke. In 1987, following the summit of French-speaking countries in Québec City that year, the Festival international du cinéma francophone en Acadie (FICFA - international francophone film festival in Acadia) was founded in Moncton. This festival’s mission is “to promote films from French-speaking countries and make them accessible to francophones and francophiles in Atlantic Canada while also promoting Acadian films to French-speaking communities in Atlantic Canada, the rest of Canada, and internationally.” Since its founding, this festival has received growing recognition for its rich, diverse programming. The festival director since 2013 has been Marie-Renée Duguay. In 1988, a large independent film-production company, Les Productions Phare-Est(now Phare-Est Média), was founded in Moncton by Cécile Chevrier, Ginette Pellerin, Herménégilde Chiasson and Marc Paulin (Cécile Chevrier has been its sole owner since 2006). This company has enjoyed great success, winning more festival awards and receiving more Prix Gémeaux nominations than any other Acadian production house. Its productions include the films Le souvenir nécessaire, 1604 and Le temps X, by Renée Blanchar; Anna Malenfant d’Acadie and Durelle, by Ginette Pellerin; Les années noires and Ceux qui attendent, by Herménégilde Chiasson; Acadie Liberté, by Tim Radford; La voisine, by Pamela Gallant; Un bon gars, by Laurence Véron; Grand-Pré Écho de l’UNESCO, by Anika Lirette; De Moncton à Kinshasa, by Paul Arseneau; Naufrages, by Paul-Émile d’Entremont; Phoques, le film, by Raoul Jomphe; Frédéric Back, grandeur nature, by Phil Comeau; Plus grand que la mer, by Marc Savoie; and À cheval sur une frontière, by Rodolphe Caron. Phare-Est Média now also produces documentary series, such as Trésors vivants, L’Acadie de la mer, and Chroniques de l’Atlantique (directed collaboratively) and Les îles de l’Atlantique, by Julien Cadieux, as well as fiction series, including Lunatiques by Chris LeBlanc and Paul Bossé, Belle-Baie by Renée Blanchar and Le Clan and Le siège by Jim Donovan. In 1988, Michel Lemieux succeeded Éric Michel as producer in charge of Studio Acadie and produced the documentaries Robichaud by Herménégilde Chiasson and L’option coopérative by Marc Paulin. Lemieux also co-produced some documentary series with Phare-Est and Radio-Canada. In 1989, Pamela Gallant founded Les productions Bouteilles vides and directed the films À la lumière des joueurs and Cent ans d’île.In fall 1989, Paul-Marcel Albert, from Caraquet, New Brunswick, founded Les Productions du Fado, which in 1991 co-produced the film Le violon d’Arthur with the NFB. 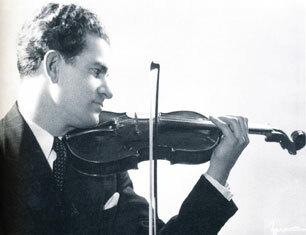 Directed by Jean-Pierre Gariépy and scripted by Jacques Savoie, the film relates a fictional episode in the life of Acadian violinist Arthur LeBlanc. But films and shows for and about Canada’s French-speaking communities continued to represent only a small proportion of Canadian television programming. In 1988, to redress this imbalance, the Fédération culturelle canadienne-française founded the Regroupement des arts médiatiques (RAM – media arts coalition), which in 1999 became the Alliance des producteurs francophones du Canada (APFC – Canadian alliance of francophone producers). This organization was established to meet the need for concerted action Canada-wide. Its mission is to give a voice to Canada’s French-speaking communities and provide a mirror that represents them and in which they can recognize themselves. In 1990, Acadian artists founded the Association acadienne des artistes professionnel.le.s du Nouveau-Brunswick (AAAPNB – Acadian association of professional artists of New Brunswick). This association’s mission is to represent all artistic disciplines in dealings with government bodies and to provide information, promotion and professional-development services. Acadian filmmakers, actors and film technicians all belong to the AAAPNB’s media-arts section. The AAAPNB continues to work to defend artists’ rights, to improve their social and economic conditions, and to secure a recognized status for artists in New Brunswick similar to that which their colleagues enjoy in Québec. From 1991 to 1997, Pierre Bernier served as the fifth producer in charge of Studio Acadie. Relying on a stable of seasoned directors, he produced the documentaries Évangeline en quête and Mathilda, la passionaria acadienne by Ginette Pellerin, De retour pour de bon by Bettie Arseneault, Vocation ménagère by Renée Blanchar, Épopée by Herménégilde Chiasson, and Cigarette by Monique LeBlanc. In 1995, he produced the documentary Le lien acadien for the NFB’s Quebec and Atlantic Studio in Halifax. Also during Bernier’s tenure, Studio Acadie and Phare-Est Média co-produced the documentaries Acadie à​ venir and L’Acadie retrouvée, both by Herménégilde Chiasson. In 1994, Phil Comeau shot Le secret de Jérôme, the first independent Acadian fiction film ever, in Caraquet. This feature-length film, co-produced by Barry Cowling of Citadel Communications (Nova Scotia), Gilles Bélanger of Atlantica Productions (New Brunswick) and Marie-Andrée Vinet of Ciné-Groupe (Québec) garnered 15 awards at Canadian and international film festivals. In 1995, new Acadian production houses were founded by directors seeking greater artistic freedom. 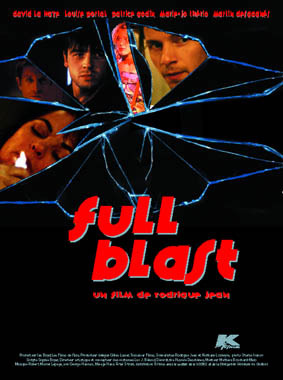 Rodrigue Jean founded Transmar Films in Caraquet and produced and directed the feature-length fiction films Full Blast (1999), Yellowknife (2002) and Lost Song (2008). Also in Caraquet, Renée Blanchar founded Ça Tourne Productions in 1996 and produced the documentaries André Lapointe, espaces (ré)créatifs by Didier Maigret and On a tué l’Enfant Jésus and Nos hommes à Fort McMurray by Renée Blanchar. Also in 1995, responding to pressure from film producers and directors, the government of New Brunswick established Film NB, a film-development corporation similar to one that already existed in Nova Scotia. Film NB provides New Brunswick filmmakers with support for the production of documentary and fiction films. The year 1996 saw the founding of the New Brunswick Producers’ Association (now Media NB), with the mandate of representing all anglophone and francophone producers and workers in the province’s film and television industries. In 1997, Diane Poitras became the next producer in charge of Studio Acadie. She emphasized training young filmmakers and produced the documentaries Seuls, ensemble by Paul-Émile d’Entremont, Les émotions ivres by Hélène Daigle, À demain chères prunelles by Aube Giroux, Plus grand que nature by Jonathan Snow and L’Éternité? 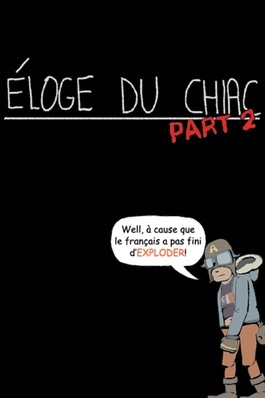 ou la Disparition d’une culture by Marie-Claire Dugas. Poitras also worked with some seasoned filmmakers to produce the documentaries Fripes de choix, guenilles de roi by Bettie Arseneault and Abegweit – Le pont de la Confédération by Serge Morin, as well as the animated film Joséphine by Anne-Marie Sirois. 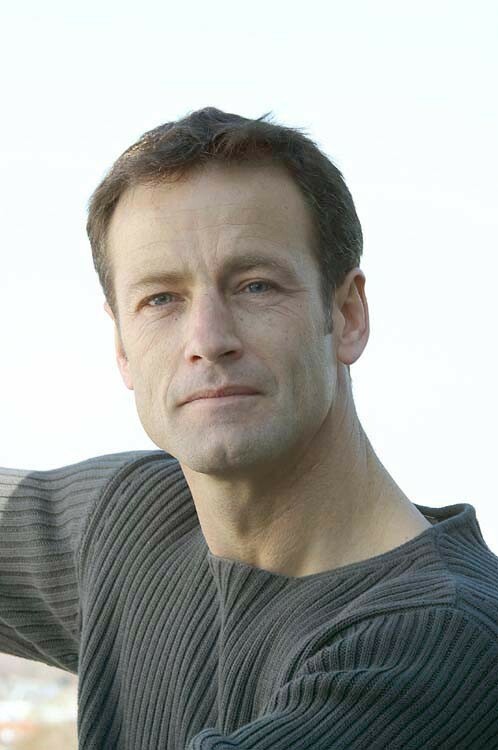 Also in 1997, producer François Savoie founded Connections Productions in Nova Scotia. This company specialized in documentary series and musical variety shows. It produced Francophonies d’Amérique, Tournants de l’histoire, L’Acadie en chanson, Profils and Passeport musique (all collaboratively directed). 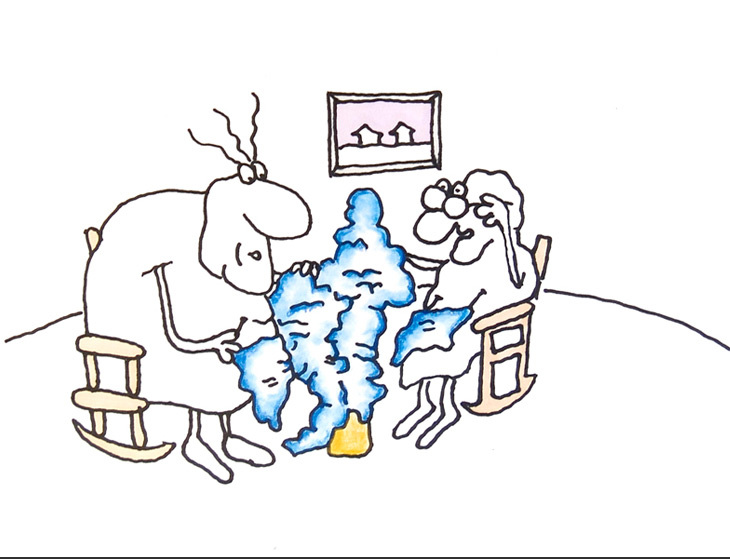 Savoie also co-produced the animated series Animacadie (collaboratively directed) with the NFB. His fiction productions include the series La Sagouine, directed by Phil Comeau, and the feature length children’s film La Gang des hors-la-loi, directed by Jean Beaudry and co-produced with Les Productions La Fête of Montréal. In 1999, Monique LeBlanc founded CinImages Productions, in Moncton. This company produced several series, including Petites vues de chez nous, Artiste dans l’âme, Bazart (all collaboratively directed); Les Acadiens du Québec, by Phil Comeau; and Roméo Savoie, la peinture au corps, Acadie américaine and Acadie Black & Blanc, all by Monique LeBlanc. At the turn of the century, Jacques Lévesque and Colette Mallais founded Cojak Productions in Tracadie-Sheila, New Brunswick. Their productions included the short fiction films La légende Bricklin, Les bootleggers d’Atlantique and Les larmes du Lazaret, the documentaries Libérateur libéré and Désoriental by Chris LeBlanc, Fortunat and Pêcheurs de Lamèque by Raynald Basque, McGraw et le cercle des chefs by Suzanne Chiasson, and the television series La famille Basque by Chris LeBlanc and Raynald Basque. Producer Sam Grana, the former director of Film NB, founded Les Productions Grana. Though he focused chiefly on English-language productions, he also produced the French-language fiction series Samuel et la mer, directed by Pierre Gang. In 2000, Jacques Turgeon took the helm of the NFB’s Studio Acadie and breathed new life into its animated-film program by creating the AnimAcadie competition, through which the NFB co-produced the animated films Faire le saut by Anne-Marie Sirois, Télé-Vision by Jean-Pierre Morin, Pimp ma botte by Marc Daigle, L’escapade de Marco by Philippe Lanteigne, Voodoo by André Guy Landry and La plume et l’éléphant and Timine et Brossette by Réal O’Neil. 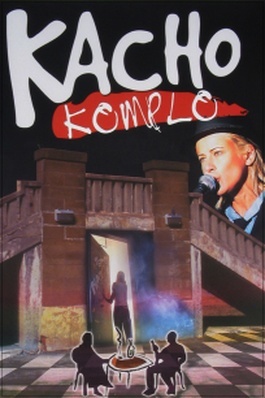 AnimAcadie also enabled the production of the documentaries Kacho Komplo and U.S. Assez! by Paul Bossé, Bonnes vacances by Louiselle Noël, Dis-moi ce que tu manges by Aube Giroux, Reema allers-retours and Le confessionnal réinventé by Paul-Émile d’Entremont, Raoul Léger, la vérité morcelée by Renée Blanchar, and L’extrême frontière, l’œuvre poétique de Gérald Leblanc by Rodrigue Jean. In 2001, Suzette Lagacé and Maurice Aubin founded Mozus Productions in Moncton. This company produced or co-produced the documentaries Cayouche – Le temps d’une bière and Aujourd’hui on est pu en 68 by Maurice André Aubin, Au-delà des apparences by Suzette Lagacé, Bonnes vacances by Louiselle Noël, Du ̒stir’ en Acadie and Havrer à la Baie by Joël Robichaud, as well as the documentary series Peu importe l’âge (directed collaboratively), Agrofolie byJoël Robichaud and Les sceaux d’Utrecht byPaul Bossé. In 2004, Rodolphe Carin and France Gallant founded Productions Appalaches and co-produced four films with the NFB (Pour la cause, Marie Hélène Allain en dialogue avec la pierre, Léonard Forest ‒ cinéaste et poète and Simplement Viola, all directed byRodolphe Caron), as well as the feature film Au bout du chemin by Samuel Caron. Also in 2004, Acadian independent filmmakers joined other francophone independent filmmakers across Canada to form the Front des réalisateurs indépendants du Canada (FRIC). This national association represents francophone directors on the Canadian cultural and political scenes and helps its members to develop their professional skills and advance their film careers. In 2007, Murielle Rioux-Poirier became the new producer in charge of Studio Acadie. Under her leadership, the Tremplin competition was launched, enabling a new generation of francophone directors to make their first documentary films with the NFB’s help. Films produced through this program included the documentaries Habiter la danse by Julien Cadieux, Ils eurent treize enfants… by Anika Lirette, La trappe by Lina Verchery, La dernière batture by Mathieu D’Astous, Voleuse de poussière by Marie-Thérèse François, Infusion by Amélie Gosselin, and Un dimanche à 105 ans and Les inséparables by Daniel Léger, as well as the fiction film Drôle de chapeau, by Mélanie Léger. During this period, the animated films Le secret de Moustafa by Joline Robichaud and Tic Tac by Marc Daigle were produced under the AnimAcadie program. The first Acadian web series were also produced: the documentaries Ta parole est en jeu, PIB, Ici, chez soi (all collaboratively directed) and Ça tourne dans ma tête by Louiselle Noël. 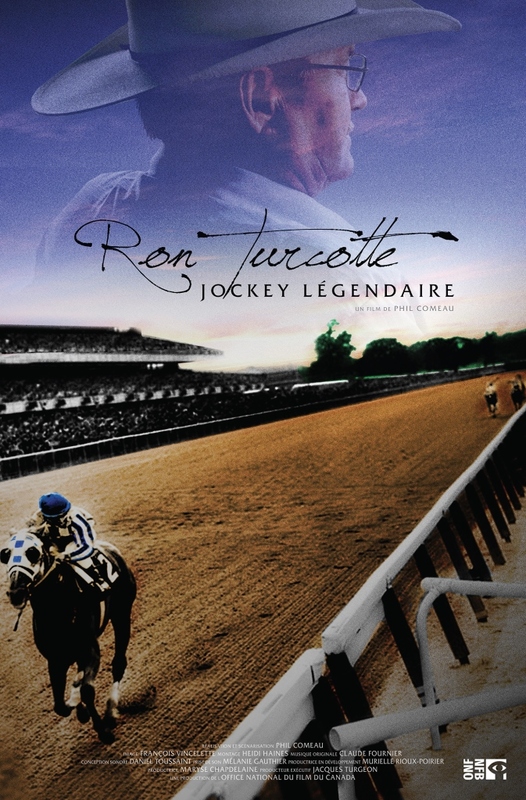 The NFB also produced a few films by veteran Acadian filmmakers, including the documentaries Une dernière chance byPaul-Émile d’Entremont, Ron Turcotte, jockey légendaire byPhil Comeau, and the co-production Éloge du chiac – Part 2 by Marie Cadieux. In a short space of time, seven new independent production companies opened their doors in New Brunswick. In 2007, Ginette Pellerin and Pauline Bourque founded Ameri Ka Productions and produced the documentaries Antonine Maillet – Les possibles sont infinis, On a bâti une cathédrale, and Herménégilde Chiasson – de ruptures en contraintes as well as a first short fiction film, Le cowboy et les sauvages byGinette Pellerin. 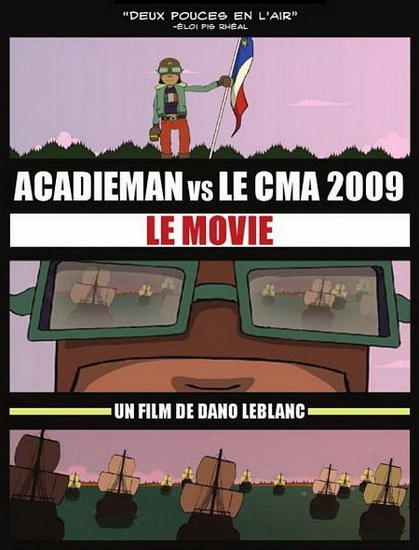 In 2008, Daniel Omer LeBlanc founded an animation company to produce the animated comedy series Acadieman and the animated feature Acadieman vs le CMA 2009 – Le movie, by Dano LeBlanc. In September 2010, after Cojak Productions went out of business, Colette Mallais joined René Savoie to found Les Productions du milieu. The company’s director, Patrick Gauvin, shot the dramatic series Rural.com in 2011 and the documentaries L’Acadie des frontières, La pêche maudite and Le Sprint au flétan in 2014 and 2015. In 2012, Jean-Pierre Desmarais founded Imagique Productions and directed the science-fiction short Terra Mars and the comic fantasy S.W.I.T.C.H. In Fredericton, Donovan Richard and Danny Thebeau founded Red Leaf Productions to co-produce and co-direct the historic fiction film Délivrance. In Moncton, director Gilles Doiron joined brothers Jean-Marc and Martin Goguen to found Botsford Bros. Inc., which produced the fiction films La spare part and Aller-Retour by Gilles Doiron. Lastly, in Shippagan, New Brunswick, producer/director Patrick Gauvin founded Bosco Médias and in 2012 directed the documentary Lamèque en mouvement, followed in 2013 by Pirate, the first Acadian fiction web series. In 2011, Maryse Chapdelaine became the new producer in charge of the NFB’s Studio Acadie in Moncton. She reinstated the Tremplin competition to develop emerging talent, producing the first documentaries by Justin Guitard (Une affaire de famille), Mélanie Léger (Emma fait son cinéma) and Karine Godin (Ma radio, mon amie). Studio Acadie is now part of the NFB’s Canadian Francophonie Studio and it is known as the Canadian Francophonie Studio – Acadie. Its executive producer is Dominic Desjardins, a former director and producer of Zazie Films who directed an Acadian fiction feature film, Le divan du monde, in 2009. In 2015, he appointed Jac Gautreau producer in charge of the studio in Moncton. Since its founding in 1974, the NFB’s Studio Acadie has accomplished the enormous task of creating an Acadian cinema virtually from scratch. Among the 40 or so filmmakers who learned their trade at this studio, many are still working today in private industry. Over 40 years since its inception, this studio continues to encourage emerging Acadian filmmakers. For many years, CBC/Radio-Canada French Television was the main broadcaster of Acadian films, although a few Acadian productions were sometimes aired on other French-language networks (TV5, TVA, TFO, Canal D and TV5 Monde). In 2014, a new television network, UNIS-TV, came on the airwaves, with a mandate to produce and broadcast audiovisual works from French-speaking communities throughout Canada, including Acadia. The Acadian private film and television industry in New Brunswick and Nova Scotia continuously strives to produce high-quality films and programs despite more and more limited budgets. Several Acadian independent production companies, such as Phare-Est Média, Connections Productions and Bellefeuille Production, have been in business for many years and are still active. Though documentary films have been Acadian cinema’s traditional strength, there now seems to be a growing place for fiction and animated films as well. Acadian film directors have left their mark and made the francophone communities of Canada’s Maritime provinces better known by telling their stories and sharing their hopes and fears, their sense of belonging and their sense of being different. Together with Acadian film producers, these directors continue to offer Acadia and the entire world a genuinely Acadian cinema that is truly inspiring. Phil Comeau, "Le cinéma acadien au Canada," in Phil Comeau, Warren A. Perrin and Mary Broussard Perrin, eds., L’Acadie hier et aujourd’hui. L’histoire d’un peuple (2014), pp. 104‒14.